Born on 12 January 1889 in South Gower, Ontario - husband of Mrs. Thomas Arcand, Kemptville, Ontario - attestation form notes trade as farmer, married, not now nor previously a member of the military, height of 5 feet 6.5 inches, chest of 37.5 inches, dark complexion, brown eyes, dark brown hair, Roman Catholic. Joined the 156th Canadian Infantry Battalion on 11 March 1916 (number 639859) - taken on the strength of the 38th Battalion in France on 24 May 1917 - wounded on 30 October 1917 - rejoined the battalion on 4 December 1917 - invalided sick to England on 6 January 1918 - rejoined the battalion on 5 April 1918 - wounded on 28 May 1918 - died of these wounds on 29 May 1918 - buried in Pernes British Cemetery, France. 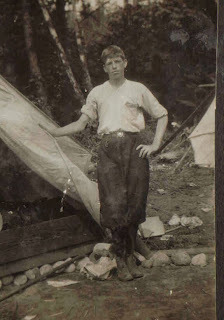 Born on 26 October 1889 in Arnprior, Ontario - son of Mrs. Alice M. Brennan, Arnprior, Ontario - enlistment papers provide the following: trade as lumberman, single, no current or previous military service, Roman Catholic, height of 5 feet 7.5 inches, chest of 36 inches fully expanded, fair complexion, hazel eyes, light brown hair. Joined the 59th Canadian Infantry Battalion on 5 April 1915 - transferred to the 38th Canadian Infantry Battalion in Barriefield, Ontario, on 22 June 1915 (number 410035) - served with the 38th Battalion during its period of garrison duty in Bermuda - landed in France with the 38th Battalion on 13 August 1916 - killed in action on 13 June 1917 - name listed on the Vimy Memorial, France. 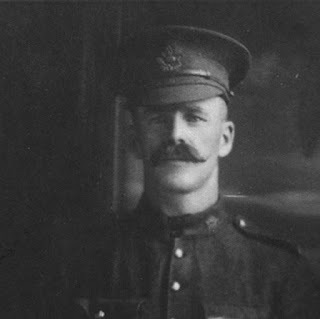 Born on 12 July 1886 in Croy, Nairnshire, Scotland - husband of Mary Stewart, Brantford, Ontario - at the time of his enlistment in 1916: present address same as wife; trade as police constable; married; currently serving with the 38th Regiment Dufferin Rifles of Canada; previously served with the Highland Garrison Artillery (four years); Presbyterian; height of 6 feet 0 inches; chest of 39 inches fully expanded; fair complexion; brown eyes; brown hair. Joined the 215th Battalion, CEF, in Brantford, Ontario, on 6 March 1916 (number 270005) - taken on the strength of the 38th Battalion, CEF, on 27 or 28 March 1918 - struck off the strength of the 38th Battalion on 16 June 1919. Awarded the Distinguished Conduct Medal - official citation: "For gallantry and devotion to duty during operations resulting in the capture of Valenciennes and towns east of that city, from 27th October to 5th November, 1918. When the company was advancing in artillery formation from St. Saulve, on 2nd November, it suddenly came under severe machine gun fire and a heavy enemy barrage. He moved across the entire company frontage twice, and by his disregard of safety set a splendid example to all." - unit recommendation dated 26 December 1918: "For Gallantry during operations near Valenciennes (Peace Despatch)." Awarded the Military Medal - no official citation - unit recommendation dated November 1918: "For gallantry during operation around Valenciennes from Nov. 1 to 5/18." Stewart later served as the Chief of Police in Barrie, Ontario, from 1925 to 1945. Born on 20 August 1890 in West Hartlepool, County Durham, England - emigrated to Canada in July 1910 with his two brothers and joined by his father (Henry Colburn Cass), mother (Alice Emma (nee Dye)), sister, and younger brother, all of West Hartlepool - husband of Lillian Maud Cass (nee McCarthy), Toronto, Ontario (formerly of West Hartlepool) (married on 2 November 1912) - father of Violet Lillian Cass (born on 28 July 1913 in Toronto, Ontario) - enlistment records provide the following: present address same as wife (218 Augusta Avenue, Toronto), trade as porter, married, no current or previous military service, Church of England, height of 5 feet 5.75 inches, chest of 37 inches fully expanded, fair complexion, grey eyes, red hair. 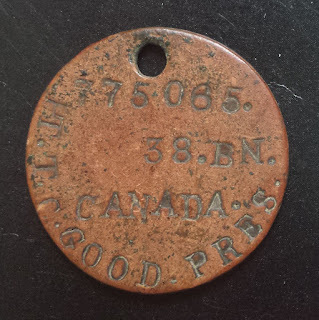 Attempted to enlist in Toronto, Ontario, on 23 August 1914 but was rejected for medical problems - joined the 166th Battalion, CEF, in Toronto, Ontario, on 28 January 1916 (number 669065) - departed Halifax, Nova Scotia, onboard SS Olympic with the 166th Battalion - arrived in Liverpool, England, on 19 October 1916 - taken on the strength of the 38th Battalion, CEF, on 27 November 1916 - invalided sick (influenza) to No. 7 Canadian Stationary Hospital at Le Havre on 17 December 1916 - wounded (gas poisoning) on 26 March 1917 and sent to No. 12 Canadian Field Ambulance - transferred to No. 13 Ca nadian Field Ambulance on 3 April 1917 - rejoined the 38th Battalion on 7 April 1917 - promoted to lance-corporal on 6 June 1917 - promoted to corporal on 8 July 1917 - died of wounds on 23 August 1917 at No. 6 Casualty Clearing Station - buried in Barlin Communal Cemetery Extension (grave III.D.44), France. 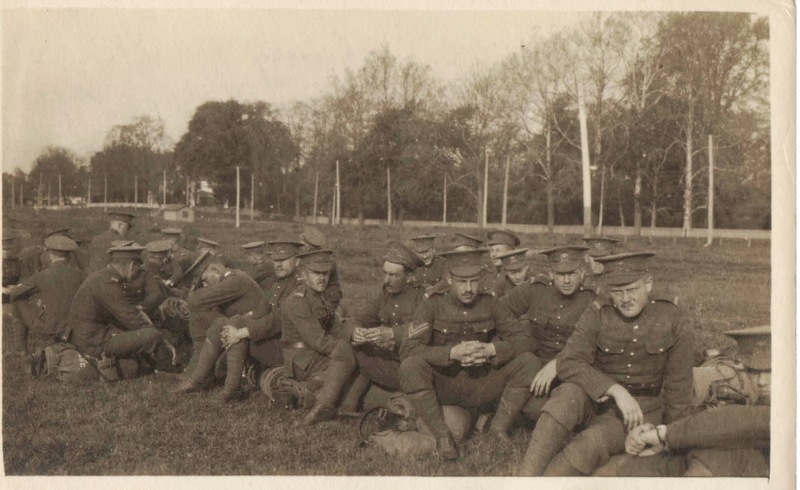 (My sincerest thanks to Corporal Cass's grandon, Paul Hodgson, for sharing the images and additional information for this entry). Born on 8 August 1897 in Lakehurst, Ontario - husband of Lillian Maude Chesney, Peterborough, Ontario - recruitment records provide the following: present address same as wife, married, Methodist, trade as student at Peterborough Collegiate Institute, no current or previous military service, height of 5 feet 4 inches, chest of 42 inches fully expanded, fresh complexion, blue eyes, brown hair. Conscripted into the 1st Depot Battalion, Eastern Ontario Regiment, in Kingston, Ontario, on 3 January 1918 (number 3055163) - taken on the strength of the 38th Battalion, CEF, on 10 or 11 June 1918 - struck off the strength of the 38th Battalion on 2 March 1919. Died on 27 July 1953 in Peterborough, Ontario. Buried in Lakefield Cemetery on 30 July 1953. Born on 19 June 1879 in Bracebridge, Ontario - husband of Mrs. Thomas Good, Richmond Hill, Ontario - at the time of his enlistment in 1915: present address in Richmond Hill, Ontario, trade as railwayman, married, no current military service, previously served with the Grenadiers (three years), Presbyterian, height of 5 feet 5.75 inches, chest of 38.25 inches fully expanded, fair complexion, blue eyes, light brown hair. Joined the 126th Battalion, CEF, in Toronto, Ontario, on 25 November 1915 (number 775065) - taken on the strength of the 38th Battalion, CEF, on 4 or 6 December 1916 - wounded on 28 June 1917 when an enemy shell struck the bunker he was sheltering in - invalided to England on 7 July 1917 - returned to Canada on 28 November 1917. Married to Jessamine Stephenson, fathered four daughters and one son. Worked as a railwayman after the war. Died on 17 August 1939. Born on 24 September 1890 in Ottawa, Ontario - husband of Muriel Long, Ottawa, Ontario - son of John Long, Ottawa, Ontario - at the time of his enlistment in 1915: trade as bookkeeper; single; currently a member of the 43rd Duke of Cornwall's Own Rifles (two years); no previous military service; Roman Catholic; height of 5 feet 5.5 inches; chest of 36 inches fully expanded; ruddy complexion; grey eyes; blonde hair - at the time of his enlistment in 1919: married.. Joined the 38th Battalion, CEF, in Ottawa, Ontario, on 22 March 1915 (number 410294) - transferred to the 2nd Battalion, CEF, on 25 August 1915 - wounded on 14 November 1915 - [then what] - joined the Corps of Military Staff Clerks in Ottawa, Ontario, on 3 June 1919 (number 1287735). He married Muriel Brown, fathered Augustus, Edwin, and Margaret, and had eight grandchildren. He died in Ottawa on 11 March 1964. Born on 16 April 1896 in Geneva, New York - son of William Henry Lusk, Picton, Ontario - at the time of his conscription in 1918: present address in Picton, Ontario; single; Methodist; trade as munition worker; no current or previous military service; height of 5 feet 6.5 inches; chest of 35 inches fully expanded; fair complexion; grey eyes; brown hair. Conscripted into the 1st Depot Battalion, Eastern Ontario Regiment, CEF, in Kingston, Ontario, on 26 February 1918 (number 3056877) - taken on the strength of the 38th Battalion, CEF, on 10 or 11 October 1918 - struck off the strength of the 38th Battalion on 16 June 1919. 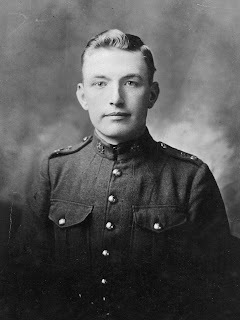 Born on 1 January 1899 in Newboro, Ontario - son of Reverend George Clendinnen, Kingston, Ontario - enlistment records provide the following: trade as student, single, no current military service, previously served with the Army Service Corps, Methodist, height of 5 feet 4 inches, chest of 35 inches fully expanded, fair complexion, blue eyes, fair hair. Joined the 3rd Section Divisional Ammunition Column in Kingston, Ontario, on 9 April 1917 (number 2043057) - embarked for England onboard the SS Olympic on 24 April 1917 - taken on the strength of the 38th Battalion, CEF, in France on 11 or 12 July 1917 - wounded on 30 September 1918 (shot to the chest and mustard gassed) - withdrawn to No. 4 Casualty Clearing Station at Baulencourt, then to No. 22 General Hospital at Camiers where he developed pneumonia - invalided to Seaford, England on 12 October 1918 and admitted to No. 16 Canadian General Hospital in Kent - repatriated to Canada onboard the SS Carmania - discharged in Ottawa on 27 January 1919. Studied medicine at McGill University, in Montreal - entered medical practice as a doctor and surgeon - married Jessie Keith Craig (1908-1985). Joined the Royal Canadian Army Medical Corps as a Captain in 1939 - attached to a field ambulance - promoted to Lieutenant-Colonel - commanded a field dressing station in Sicily and Italy. Returned to private medical practice as a general surgeon in Hamilton, Ontario, in 1945 - died on 5 September 1955 - buried in Woodlawn Cemetery, Hamilton. Born on 22 December 1894 (or 1895) in Neepawa (or Neeneetawa), Manitoba - son of William J. Mathers, Vancouver, British Columbia - at the time of his enlistment in 1915: trade as McGill student; single; no current or previous military service; Methodist; height of 5 feet 10 inches; chest of 36.5 inches fully expanded; fair complexion; grey eyes; ruddy hair. Attended Lord Roberts public school and King Edward High School, Vancouver - attended McGill College, British Columbia, in the faculty of Arts from 1914 to 1915 - member of the McGill College Officers' Training Corps during 1914-1915 session - "He was a keen athlete, playing tennis, rugby and basketball, and he took an active part in Y.M.C.A. work." Joined the 38th Battalion, CEF, in Vancouver, British Columbia, on 5 March 1915 (number 411045) - sailed for England on 29 May 1915 - transferred to Princess Patricia's Canadian Light Infantry on 16 July 1915 - joined the PPCLI in the field on 28 July 1915 - wrote to his younger brother Bill on 5 August 1915: "Our impression of the trenches are most favourable. The portion of the line we are holding is most elaborately rigged out and we have great sport cooking our meals etc." - wrote to his brother Bill on 7 August 1915: "Our position along here is very quite [sic] the Germans aren't doing much and it is only the novelty of the thing that is prompting us to ping away at the sky or distant parapet of the Germans. This morning I was on guard in the firing line from 2 AM until 4 AM and enjoyed myself immensely shooting away into space whenever one of the Star Lights when [sic] up and lighted up the whole country around about. All you can see over our trenches is a continuous pile of sand bags and old shell wrecked houses in behind them about quarter of a mile way. Once in a while stray shots come over & whizz away over our heads. The main thing is to keep your head down and not get to anxious to see what is going on. Once in a while the Artillery on either side just to show each other they are there open up and we can hear they [sic] whizz over head and see them burst in the distance. Its great when our Batteries get their guns trained on the german firing line and we can watch them bursting over theirs." - served as a member of No.1 Company, Machine Gun Section, through winter 1915 and spring 1916 - declared missing, presumed dead, on 4 June 1916 - "...he was reported missing, being last seen in action with the guns near St. Eloi." 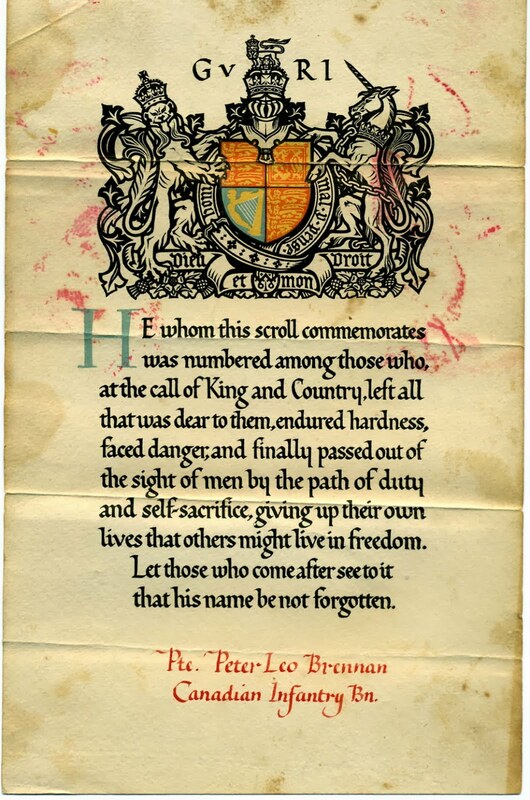 - name inscribed on the Ypres (Menin Gate) Memorial (panel 10), Belgium. 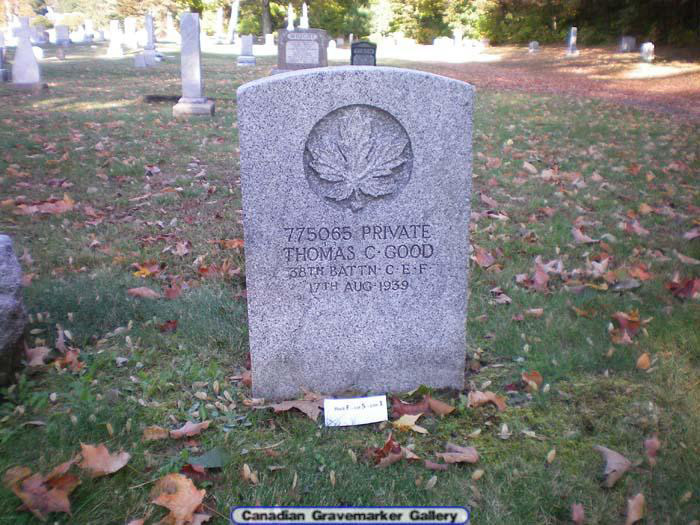 Born on 19 March 1896 in Toronto, Ontario - son of Mrs. Catharine Cooper, Toronto, Ontario - at time of enlistment in 1915: trade as teamster, single, no current or previous military service, Presbyterian, height of 5 feet 8.5 inches, chest of 34 inches fully expanded, fair complexion, blue eyes, dark brown hair. Joined the 59th Battalion, CEF, in Lindsay, Ontario, on 21 May 1915 - transferred to the 38th Battalion, CEF, on 22 June 1915 (number 410711) - served with the 38th Battalion during its period of garrison duty in Bermuda - landed in France with the 38th Battalion on 13 August 1916 - killed in action on 9 April 1917 - buried in Givenchy-en-Gohelle Canadian Cemetery (grave B.17), France. 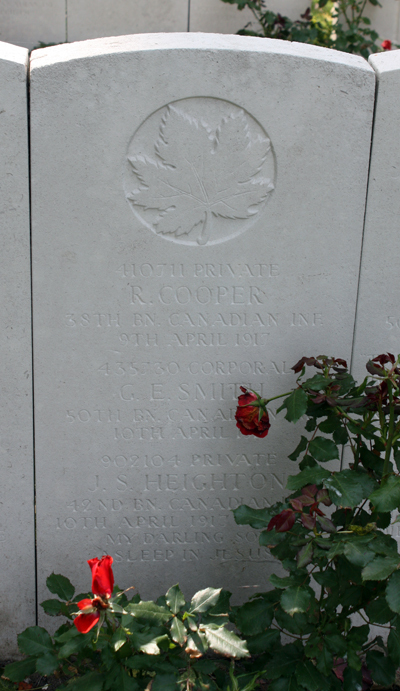 (Updated with a photo of Pte Cooper's headstone in Givenchy-en-Gohelle Canadian Cemetery that I took in August 2012). Born on 26 November 1887 in Brampton, Ontario - son of James Henry Cook, Brampton, Ontario - at time of enlistment in 1916: present address in Toronto, Ontario, trade as painter, widower, no current or previous military service, Church of England, height of 5 feet 4 inches, chest of 35 inches fully expanded, fair complexion, blue eyes, brown hair. Joined the 126th Battalion, CEF, in Toronto, Ontario, on 7 January 1916 (number 775041) - taken on the strength of the 38th Battalion, CEF, on 4 or 6 December 1916 - killed in action on 9 April 1917 - buried in Givenchy-en-Gohelle Canadian Cemetery (grave B.15), France. 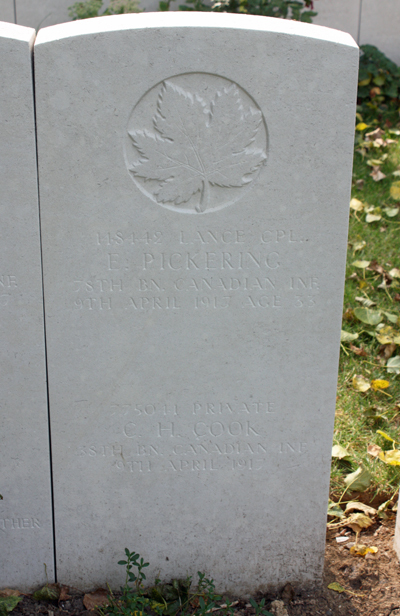 (Updated with a photo of Pte Cook's headstone in Givenchy-en-Gohelle Canadian Cemetery that I took in August 2012). Born on 29 October 1896 in Minden, Ontario - son of John Cox, Minden, Ontario - at time of enlistment in 1915: present address in Minden, Ontario, trade as farmer, single, no current military service, previously served in the 45th Regiment in 1913, height of 5 feet 7.5 inches, chest of 38 inches fully expanded, fair complexion, blue eyes, brown hair. Joined the 109th Battalion, CEF, in Minden, Ontario, on 12 December 1915 (number 726046) - taken on the strength of the 38th Battalion, CEF, on 4 or 6 December 1916 - killed in action on 9 April 1917 - buried in Givenchy-en-Gohelle Canadian Cemetery (grave A.1), France. 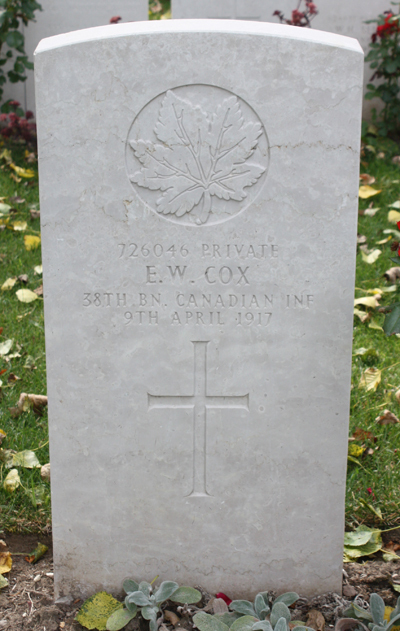 (Updated with a photo of Pte Cox's headstone that I took in Givenchy-en-Gohelle Canadian Cemetery in August 2012). Born on 23 February 1895 in Laogow, Russia - next of kin listed as Ekaterina Yaveruha, Seko Malazentov[? ], Russia - at the time of his enlistment in 1916: trade as moulder; single; no current or previous military service; height of 5 feet 1 inch; chest of 37 inches fully expanded; fair complexion; gray eyes; auburn hair. Joined the 126th Battalion, CEF, in Toronto, Ontario, on 3 January 1916 (number 775389) - taken on the strength of the 38th Battalion, CEF, on 4 or 6 December 1916 - killed in action on 9 April 1917 - name inscribed on the Vimy Memorial, France. (Updated with a photo of Pte Zaveruha's inscription on the Vimy Memorial that I took in August 2012). Born on 2 April 1887 in Bishops Waltham, Portsmouth, England - son of Walter Scrymshire S. Vernon (deceased) and Alexandrina Sara Ada Yonge, Farsham, Hampshire, England - at the time of his enlistment in 1916: present address in Stratford, Ontario; trade as buffer and polisher; single; no current or previous military service; Church of England; height of 5 feet 9.5 inches; chest of 36.5 inches fully expanded; fair complexion; grey eyes; light brown hair. Joined the 110th Battalion, CEF, in Stratford, Ontario, on 18 April 1916 (number 727779) - taken on the strength of the 38th Battalion, CEF, on 26 or 27 June 1917 - killed in action on 17 August 1917 - name inscribed on the Vimy Memorial, France. (Updated with a photo of Pte Yonge's inscription on the Vimy Memorial that I took in August 2012). Born on 9 March 1888 in Liverpool, England - husband of Agnes Jane Worrall, Toronto, Ontario - at the time of his enlistment in 1915: present address same as wife; trade as shipper; married; no current or previous military service; Church of England; height of 5 feet 3.75 inches; chest of 34 inches fully expanded; fair complexion; blue eyes; brown hair. Joined the 126th Battalion, CEF, in Toronto, Ontario, on 21 December 1915 (number 775221) - taken on the strength of the 38th Battalion, CEF, on 4 or 6 December 1916 - killed in action on 9 April 1917 - name inscribed on the Vimy Memorial, France. (Updated with a photo of Pte Worrall's inscription on the Vimy Memorial that I took in August 2012). Born on 24 February 1895 in Montreal, Quebec - son of Albin E. Woodworth, Montreal, Quebec - at the time of his enlistment in 1915: present address same as father; trade as banker; single; no current or previous military service; Presbyterian; height of 5 feet 11 inches; chest of 39 inches fully expanded; fair complexion; blue eyes; light brown hair. 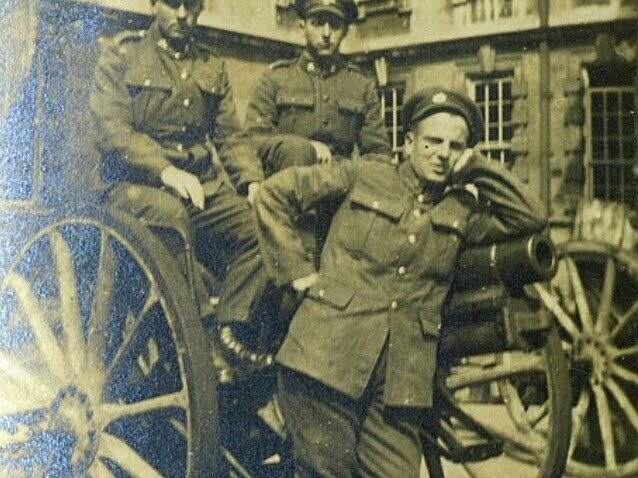 Joined the 87th Battalion, CEF, in Montreal, Quebec, on 29 November 1915 (number 177928) - taken on the strength of the 38th Battalion, CEF, in England on 14 July 1916 - landed in France with the 38th Battalion on 13 August 1916 - attached to the 12th Brigade Trench Mortar Battery, CEF, on 16 August 1916 - killed in action on 6 January 1917 - name inscribed on the Vimy Memorial, France. (Updated with a photo of L/Cpl Woodworth's inscription on the Vimy Memorial that I took in August 2012). 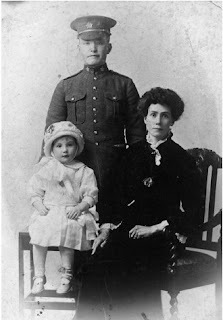 Born on 10 October 1895 in Ontario - son of William and Eva Winkworth, Swansea, Ontario - at the time of his enlistment in 1916: present address same as mother; trade as machinist; single; no current military service; previously served with the 10th Royal Grenadiers (two years); Baptist; height of 5 feet 6.75 inches; chest of 35.5 inches fully expanded; fair complexion; blue eyes; fair hair. Joined the 166th Battalion, CEF, in Toronto, Ontario, on 5 February 1916 (number 669607) - taken on the strength of the 38th Battalion, CEF, on 27 November or 1 December 1916 - killed in action on 13 January 1917 - name inscribed on the Vimy Memorial, France. (Updated with a photo of Pte Winkworth's inscription on the Vimy Memorial that I took in August 2012). Born on 10 June 1892 in Galt, Ontario - son of Robert A. and Agnes B. Wilson, Galt, Ontario - at the time of his enlistment in 1915: present address same as mother; trade as barber; single; no current or previous military service; Presbyterian; height of 5 feet 6.5 inches; chest of 38.5 inches fully expanded; fair complexion; hazel eyes; brown hair. Joined the 111th Battalion, CEF, in Galt, Ontario, on 22 December 1915 (number 730257) - taken on the strength of the 38th Battalion, CEF, on 29 or 30 March 1918 - declared missing, presumed dead, on 10 August 1918 - name inscribed on the Vimy Memorial, France. (Updated with a photo of Sgt Wilson's inscription on the Vimy Memorial that I took in August 2012). Born on 12 December 1877 in Battersea, London, England - son of John and Emma Jane Whitt, London, England - at the time of his enlistment in 1915: trade as farmer; single; no current military service; previously served with the Royal Marines (twelve years); Church of England; height of 5 feet 8.5 inches; chest of 36 inches fully expanded; fresh complexion; hazel eyes; brown hair. Joined the 59th Battalion, CEF, on 9 June 1915 - transferred to the 38th Battalion, CEF, on 10 June 1915 (number 410659) - served with the 38th Battalion during its period of garrison duty in Bermuda - landed in France with the 38th Battalion on 13 August 1916 - killed in action on 18 November 1916 - name inscribed on the Vimy Memorial, France. (Updated with a photo of Pte Whitt's inscription on the Vimy Memorial that I took in August 2012).